It was a normal day at work for New York PetSmart employee Kylie McCloskey — until a customer came over to report a strange box that was sitting outside the store. 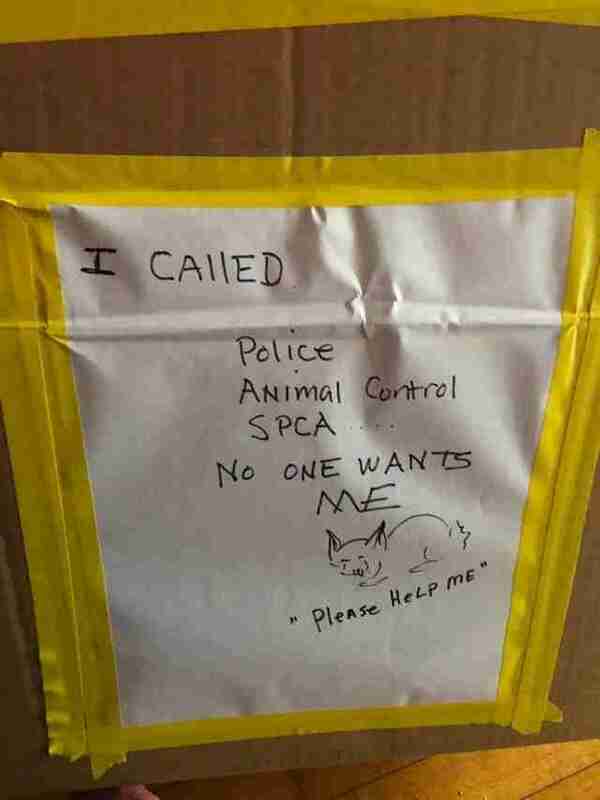 The cardboard box had a hand-drawn sign taped to the front that said, “I called police, animal control, SPCA … no one wants me. 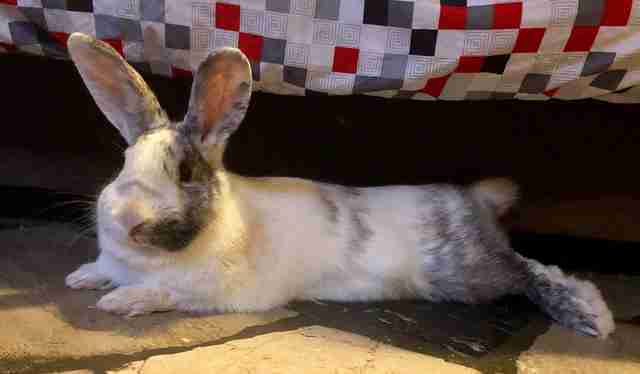 Please help me.” When McCloskey opened it up, a scared rabbit looked back at her. Someone had abandoned her there, with no concern for where she ended up next. 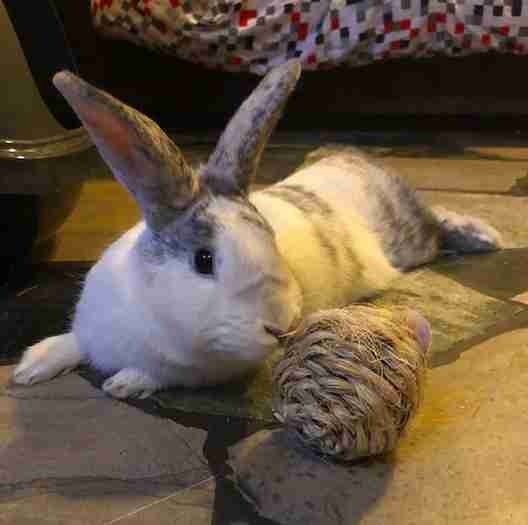 McCloskey scooped up the box and brought the rabbit inside — and it wasn’t long before she decided to welcome her into the family. 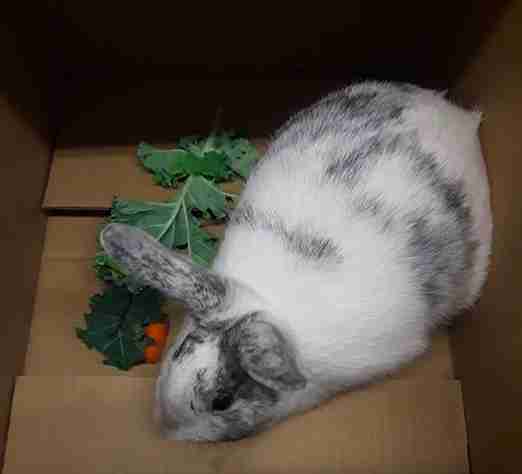 The bunny, whom the couple named Mooloo, was so cold and scared that she barely wanted to move from the box when she first got home. Luckily, after a few minutes indoors, she started warming up and hopped outside the box to explore. Luckily, Mooloo is showing every sign of being healthy, and also has a great appetite. Rabbits are especially sensitive animals, but when comfortable, they love running around and exploring just like dogs or cats. They can also be very affectionate; many rabbits will give their family little kisses on their hands or faces to show love. And thanks to McCloskey, Mooloo has a family now — and she’ll never be left to fend for herself in the cold ever again. 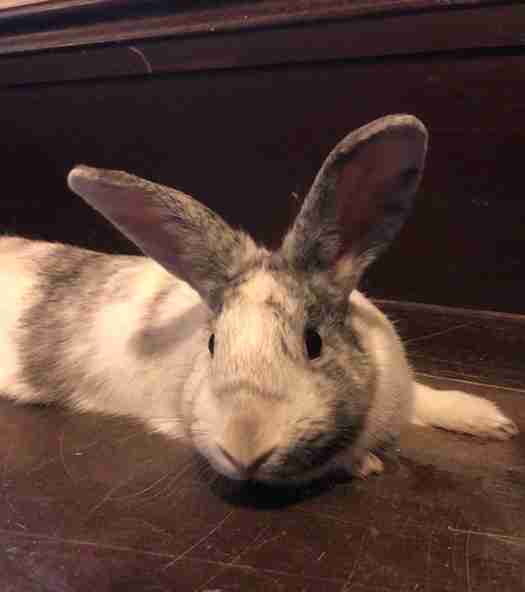 She is the family’s first-ever bunny, and she’s doing quite a good job at showing just how energetic and playful they can be. It’s clear that little Mooloo has already stolen her new family’s hearts — and all it took was their kindness to change her life forever. To help rabbits in need, and support educational programs about bunny care, you can make a donation to House Rabbit Society.